We deliver red diesel to Inverness and all of the surrounding areas. If you’re looking for low prices and excellent service you’ve found them here. Crown Oil is one of the UK’s leading red diesel suppliers in Inverness, as well as on a nationwide scale. We focus heavily on the quality of our service and guarantee to deliver your fuel on time, every time. Once you contact us to place an order, one of our team members will arrange a delivery date and time convenient for you. Call Crown Oil now on 0845 313 0845 to order red diesel today! Inverness is a historic city in Northern Scotland surrounded by picturesque scenery. Mary Queen of Scots was refused permission into the impressive Inverness castle in 1562 so she had the man responsible hanged. Inverness is home to the Legendary Loch Ness Monster exhibition centre which enthrals thousands of tourists and bewilders many children every year. Tourism is booming in Inverness with a large array of outdoor activities and sports centres; sky-diving, extreme mountain biking, and white water canoeing to accommodate extreme sports enthusiasts. Inverness is situated on the fiercesome North Sea and is subject to freezing temperatures and severe storms reducing temperatures to below zero for long periods of time. Many construction sites, farms and businesses rely on red diesel as a cheap source of diesel fuel. 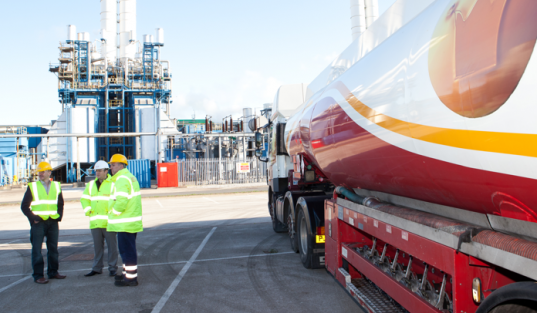 We can deliver to your site by the barrel or on a tanker with 36,000 + litres of gas oil. For the residents of Inverness and the surrounding areas, using red diesel as a fuel source for home heating is a logical solution to soaring gas and electricity prices. Red Diesel in Inverness provides a cheap fuel to heat residential and commercial premises and helps reduce CO2 emissions. Red diesel is mixed with a red dye to allow tax officials to distinguish it from regular diesel as it is not permitted to be used in normal diesel engines as it does not have the normal fuel tax levied on it. Red diesel burns at very high temperatures allowing lots of heat from small amounts of red diesel. Cheap red diesel and red diesel equipment allow local homes and businesses to reduce annual heating costs. As red diesel suppliers in Inverness, we aim to provide a constant supply of red diesel fuel to ensure 24 hours heating solutions. Our diesel can be delivered to remote areas as well as factories and homes within the city and surrounding areas and can be arranged at times and dates to suit. Red diesel storage containers and red diesel boilers are inexpensive compared to the massive savings that will be made annually and all red diesel machinery is easily installed. For information regarding the installation of red diesel equipment and for any questions regarding using red diesel or gas oil as it is also known, the red diesel suppliers in Inverness will assist any prospective clients. Red diesel storage containers and red diesel boilers are inexpensive compared to the massive savings that will be made annually and all red diesel machinery is easily installed. For information regarding the installation of red diesel equipment and for any questions regarding using red diesel or gas oil, as it is also known as, Crown Oil’s red diesel suppliers in Inverness will assist you to help answer your questions.